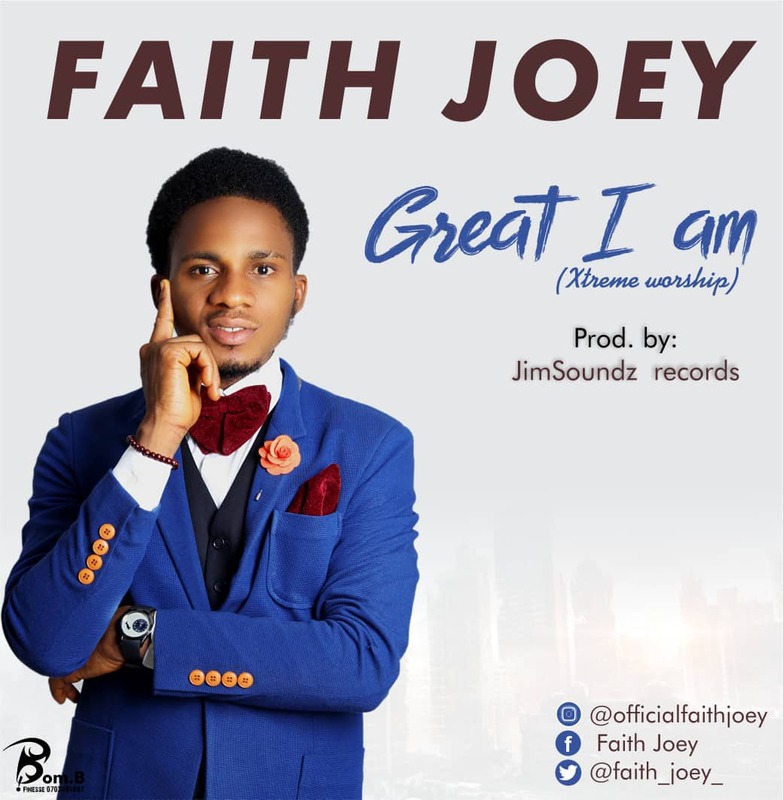 Faithjoey, a worship sensational gospel artist has dropped his new single titled GREAT I AM produced by Jimsoundz Records, Abuja. The song is known to come from a true inspiration from God exclaiming the sovereignty of God and His awesomeness. It is tagged an xtreme worship which is set to cause huge transformations in various lives and the music industry. Faithjoey was born in Kaduna where his musical career began. He has been known to have started singing at a very tender age of 7. Since then music has become a very part of him. He studied Architectural Engineering at the National Institute of Public Information, Kaduna where he graduated in 2012. He is also currently a student of the University of Abuja at his mid finals where he’s undergoing his Bachelor’s degree in Geography & Env. Sciences. He is quite known to be a lover of good music as he has been featured by many in their debut singles and albums. One of his musical competitions where he took the stage was the Gospel Music competitions in 2014 where he emerged the 3rd runner up of few to mention amongst others. Faithjoey is also known to be an alumnus of the ever prestigious MTN Projectfame WestAfrica of its 9th Season where his music took another phase. Faithjoey started as a Gospel musician in the city of Kaduna where he joined the Believer’s loveworld central church choir popularly known as CHRIST EMBASSY. He is currently based in Abuja, Nigeria, where he is a bonafied member of the Common Wealth of Zion Assembly popularly known as COZA GLOBAL. He intends to bring another dimension of what worship really means to God and hopes to cause a continuous tremendous growth in the Gospel music Industry.